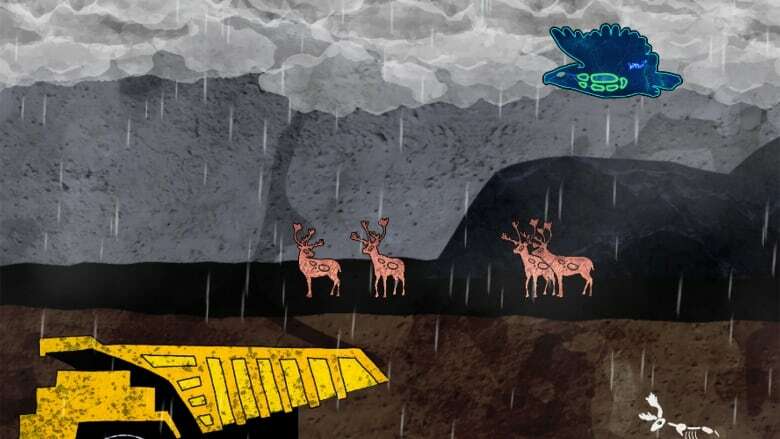 Thunderbird Strike, Elizabeth LaPensee's latest video game, won the Best Digital Media Work award at ImagineNATIVE but it has also come under fire from some groups in the U.S., who say LaPensee is putting lives at risk. Thunderbird Strike, Elizabeth LaPensée's latest video game, won the Best Digital Media Work award at the ImagineNATIVE festival last month. But that win has been clouded by accusations its content is putting lives at risk. LaPensée created, designed and wrote the game that takes aim at the oil industry while raising awareness about taking care of Turtle Island. She said the game also passes on Thunderbird stories from her communities. Ever played Cards Against Colonialism? The 2D side-scrolling game has players control a thunderbird which can fly from the oilsands to the Great Lakes. Players have the choice to gain points by letting the Thunderbird take lightning strikes at oil industry machinery — vehicles, buildings and pipelines. Or they can strike at the bones of caribou, wolves, buffalo and even people to restore them back to life. "I was very concerned about and listening to the stories of my community members and storytellers and elders regarding there becoming a time when there will be a snake that threatens to swallow the land and the waters whole. So Thunderbird Strike really does reflect the stories of community members." In the final scene, players battle a 'pipeline snake' that represents the line underneath the Mackinac Bridge in the Great Lakes. "I've actually been working on this for a couple of years. I think part of is that I was looking at the connections between the tarsands in Alberta all the way to Line 5 which is underneath the Mackinac Bridge," she explained. "Because I'm Anishinaabe and also Métis and a lot of my family is in Sault Ste. Marie." LaPensée said the game was designed to be educational and informative. It has a companion website where players can learn more about pipelines and the environment. One Minnesota senator described Thunderbird Strike as the "eco-terrorist version of Angry Birds." Oil lobbyists said the game could put the lives of people working in the industry at risk. But LaPensée countered that in no way is she encouraging players to strike out in real life. "It has been quite surprising. I thought that the game would be played by some friends and family members and maybe some community members. I had no idea that it would spread this far nor that that there would be such assumptions made about a game without actually having ever played it," LaPensée said. Thunderbird Strike is available on Windows PC with a mobile version being released next month.